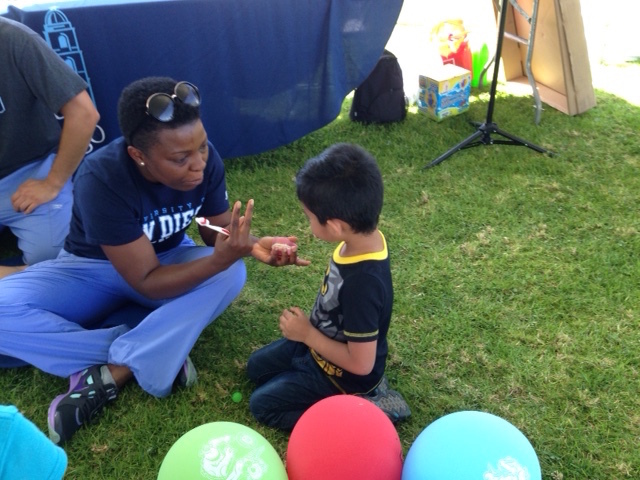 On Saturday April 22, USD MEPN students ran two Health Pavilion stations at the Linda Vista Multicultural Fair. 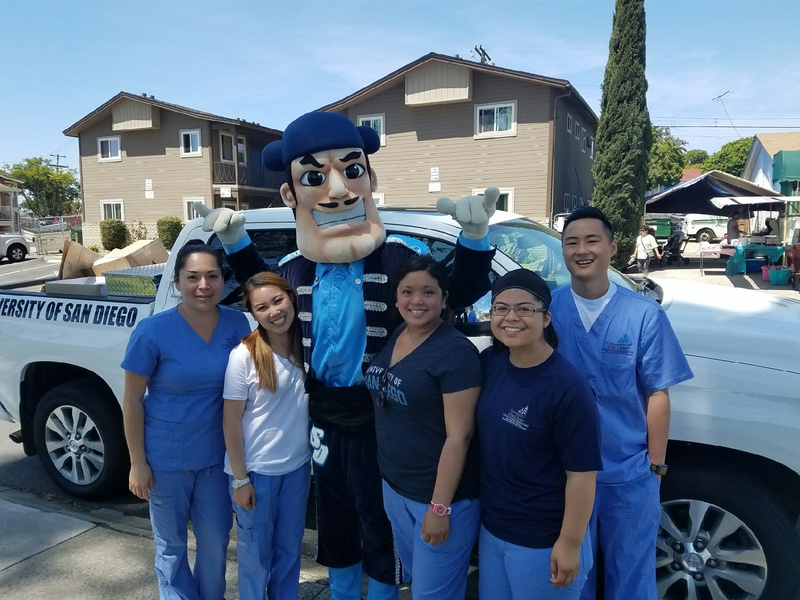 Topics covered & delivered in English and Spanish to the very diverse community included oral hygiene, healthy eating, adult & infant CPR, and infant choking. Demonstrations of techniques were provided by the students followed by community member return demonstrations. Students skillfully drew the community into the Health Pavilion area with the use of a bubble machine and a spinning wheel game with giveaway prizes. Colorful rulers, pencils and erasers were given to winners of the spinning wheel nutrition game. Toothpaste and toothbrushes were given away to those who demonstrated correct brushing techniques on the full mouth models. 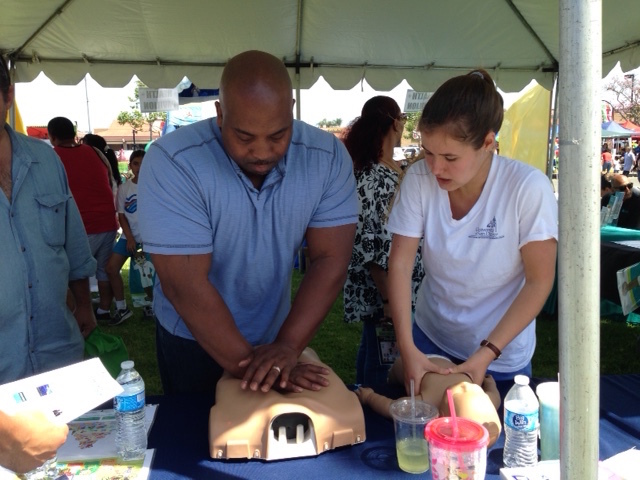 Interestingly, a number of community members asked if they could be certified/recertified in CPR at the students’ CPR demonstration station. While not set up for this, the students identified a community need – equally important and something to consider for the future. Finally, USD MEPN students were responsible for checking that attendee Health Passports were signed off for each station in the Health Pavilion. For those who visited each station, the students provided a large bag of health-related items such as hand sanitizer, hand soap, and band aides. Thanks to all of the MEPN students who assembled these bags last week! Drs. Hutchins, Mayo and Close had the privilege of supporting and being able to see first-hand these accomplished students in action! 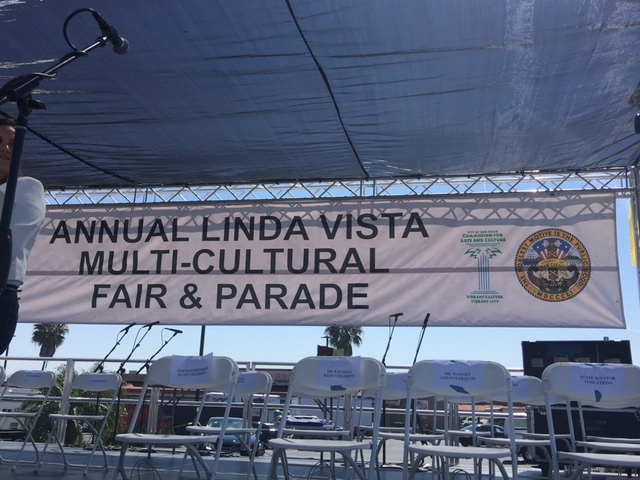 Many thanks to 1st year MEPNs, Jean Hartley and Judith Ramirez for getting this event staffed and organized and to all of the MEPN students who attended the fair and provided such wonderful health promotion teaching to the Linda Vista community! This entry was posted in Class of 2018 and tagged Community Outreach, MEPN Class of 2018. Bookmark the permalink. 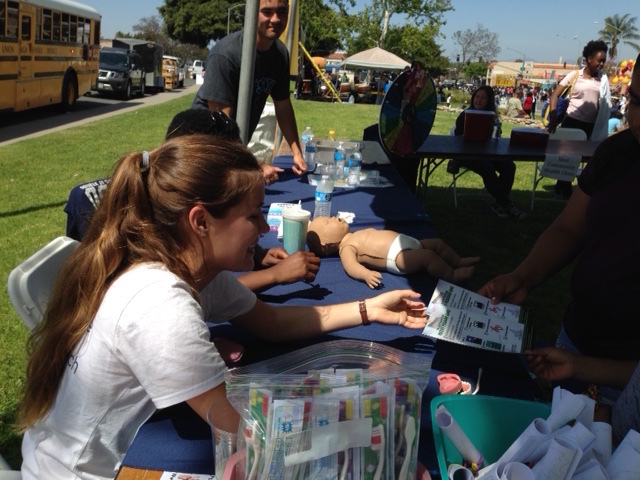 1 Response to Linda Vista Multicultural Fair attendees benefit from extensive health promotion teaching provided by MEPN students!